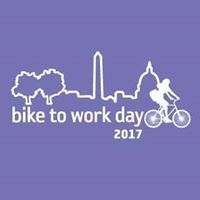 Bike to Work Day in the DC Metro area is on Friday, May 19. Registration is now open. There are 11 events in Fairfax County, one in Fairfax City, and one in Falls Church on the edge of Fairfax County. FABB plans to help out at most of the Fairfax events, providing information to cyclists and signing people up for the FABB newsletter. The event is an ideal time to encourage your co-workers and neighbors to try biking to work, to transit, to school.